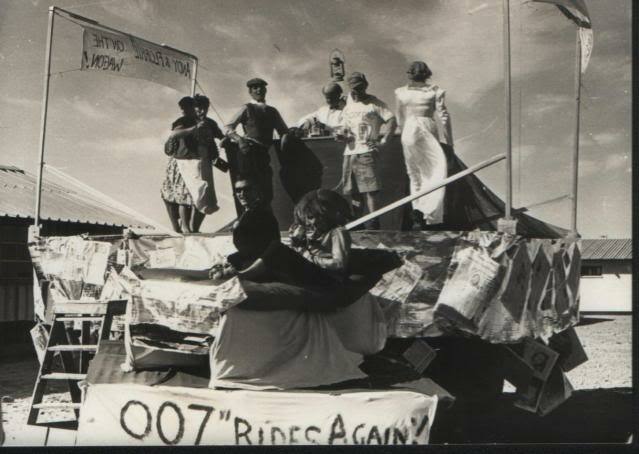 In conjunction with the Who What Where Quiz here is a photo of the float as mentioned. A few names I can remember are:- Butch Bruton MM, Jim Fletcher, Scouse McBride, Tex O'Connor and Ray Slack. Appologies to the others, after all it was 45 years ago, perhaps someone else will know if they were on it.